Good morning, well morning might suffice after last night. Yesterday's storm raged all night and in fact it has not become comfortable until after lunch today. Board. For now though we have had enough of it. I have promised myself cheese on Toast for dinner tomorrow night and I'm looking forward to it. I had my last bridge lesson this morning and I do hope I can develop my skills and more importantly use them in a club or social way when at home. I have no nautical trivia for you today and perhaps that is indicative of the fact that this voyage has drawn to a natural conclusion. I am myself looking forward to reading this blog because whilst at sea as I have no Internet access I can only read unpublished blogs, once published I can only read them on line and this is not available to me at sea. So I will enjoy reading what I have written all those weeks ago in places like Sydney etc. Life on board: what will I do when we get home, if you want a drink on board all You have to do is raise your eyebrows and an attentive bar steward will rush over and ask you what you would like and deliver it back to you in moments. Better still you don't pay for anything, you simply show them your room card and sign a receipt. Its very easy to be magnanimous and lavish when operating under these rules. It does smart a bit when your on board credit bill is delivered at the end of each sector. Just for posterity Stella was £3.50 a pint and Wendy was on Piña Colada at £4.95 each. Interestingly for someone that never drinks she has had an Average of 2 piña colada's every day for about nine weeks...... She'll miss them when she gets home. 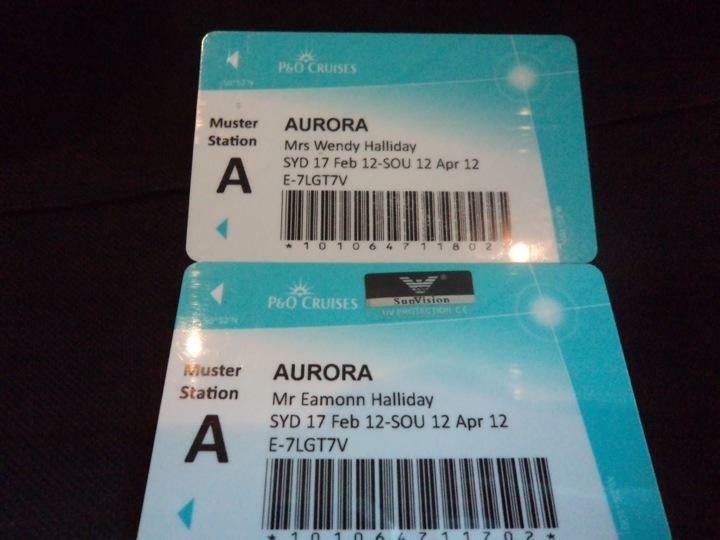 So there it is signing off for the final time on board MV Aurora with fond memories, Wendy and Eamonn. Mark Richards Welcome home almost. Loved the travel blog mate and kind of feel I've been to all those countries aswell now! Looking forward to having my running partner back!!! Now get back to work!! !